John “Bobby” Ogolla has become one of the most reknown personalities in the increasingly popular Kenya Premier League. With his distinctive grey hair and booming voice, the well spoken Bobby who is eloquent in both English and Kiswahili is always an interesting interview. Of late he has found success as interim coach at Sofapaka where as we write, he has led a resurgence of the league’s defending champions, leading them to two key victories following the departure of Robert Matano. Last season he played a pivotal role as assistant coach, helping lead Sofapaka to win the league in their maiden appearance. He has a way of connecting with players and imparting his vast experience. Prior to Sofapaka, Ogolla had coached World Hope FC. He has also had stints in the national team. Twice as the assistant to Reinhard Fabisch and on one occasion as national coach. But most fans remember him for what he did during his playing days. Back then he was nicknamed “the six million dollar man”, after a super hero character from a popular TV show from that era. The nickname arose due to Ogolla’s incredible physical strength which he parlayed while playing for Gor Mahia and for the national team, Harambee stars, often using his robust physique to outmuscle opponents away from the ball. Aside from his impressive physique, “Bobby” also had a distinctive dress style; specifically one sock pulled to knee length and the other sock at ankle length. Perhaps the most memorable game he played was the 1982 CECAFA cup final that was played in Kampala Uganda. In the final, Kenya played the match fancied Uganda Cranes. The Cranes were heavily favored having reached the Africa nations cup final in 1982 and previously in 1978. It was a strong cranes unit with players like Jimmy Kirunda, Godfrey Kataregga and dangerman Issa Sekatawa who was the top scorer in the tournament. Ogolla played his heart out marking the dangerman Sekatawa out of the game. Midway through the second half, Ogolla received a vicious elbow to his forehead from a frustrated Sekatawa. He left the game briefly and received 7 stitches on the sideline. If Sekatawa thought he could cow Ogolla he was sadly mistaken. Ogolla returned to the game, 7 stitches and all and continued to stand tall against the Ugandan attack. Kenya eventually won the game on penalties. It was this performance, playing with 7 stitches and a huge bandage on his forehead as that earned him the nickname “Six Million Dollar man”, thanks in part to the graphic narration provided by broadcasting legend Leonard Mambo Mbotela. In those days, when the national team played, the whole nation listened intently to the game on the radio. Ogolla’s legend was so big that to date he is still thought of by most Kenyans and indeed Tanzanians and Ugandans as the best stopper Kenya has ever produced, perhaps the best ever from East Africa. Yours truly has met Tanzanians who can never forget Ogolla. Ogolla was also a free kick specialist. Not only did he possess a rocket of a shot but was very accurate and scored several crucial goals from free kicks. He started his playing career in Kisumu in the mid seventies and joined Gor Mahia in the late 70s. 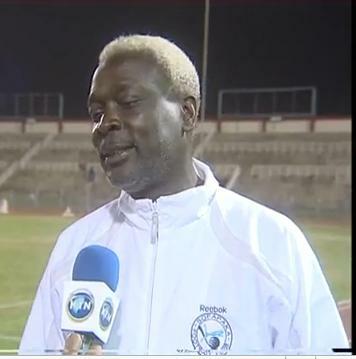 He was a key member of the Gor Mahia sides that reached the Africa cup final in 1979, won the CECAFA cup in 1980, 81 and 1985, won the Africa cup in 1987 and in between, won the national league several times. He also played a key role in the national team that won the CECAFA cup 3 times in a row from 1981 to 1983, several times emerging as the best defender at the tournament. Sometime in 1984, Ogolla was pursued by the now defunct Benham FC. Rumours flew around that Benham had offered him a lucrative job in exchange for his playing services. Mass depression engulfed Gor Mahia fans who beseeched him to reconsider. Its not known whether the fans pleas are what convinced him to stay at the club. But he did stay on for another 3 years before hanging up his boots at the end of 1987. His coaching and tactical acumen come from several years of working with coaches like Len Julians and Reinhard Fabisch. 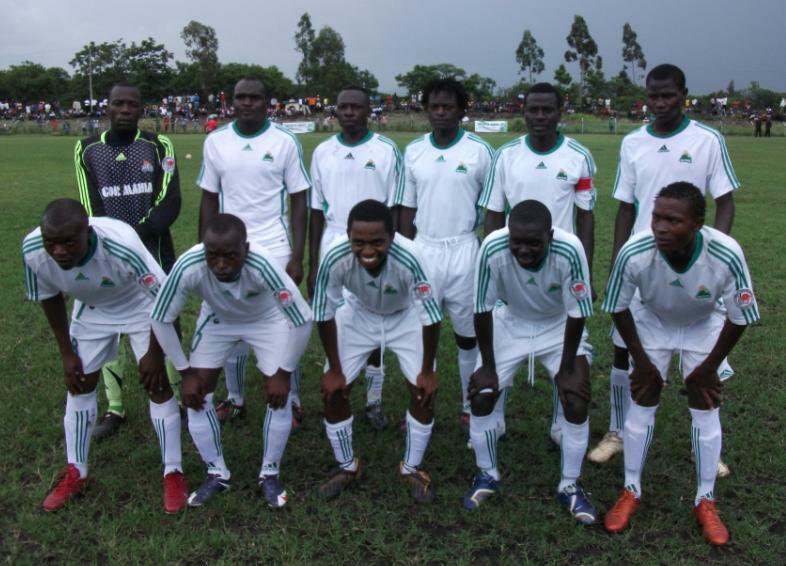 Kogalo lost 0-3 to Chemelil Sugar FC in what is now the teams worst performance of the season. Playing in a pitch soaked due to driving rain, Kogalo were unable to adapt. Chemelil on the other hand are used to playing in such conditions and seized the initiative from the beginning. By half time, the visitors found themselves two goals down. The second half was played in driving rain, killing off any chances of a comeback by Kogalo. They are now placed 11th in the KPL standings, 8 points behind the leaders Ulinzi after 6 matches. Prior to the match, Gor Mahia Kisumu branch organized a parade for the club players that was well received by local fans. Playing in front of an empty stadium, Kogalo, registered their first win of the season when they beat Nairobi City Stars 1-0. Fans were banned from attending the match as punishment for perceived unruly behavior from fans during the match against Mathare United. The all important goal came from the penalty spot following a hand ball by a City Stars player. Skipper Julius Owino ‘Awilo’ made no mistake from the penalty spot. 20 minutes later it was City Stars chance to convert from the penalty spot but keeper Jerim Onyango saved the resultant penalty thus assuring 3 points for Kogalo. GOR Mahia’s youthful outfit settled for a 1-1 draw. Despite beeing cheered in by the large crowd, Kogalo failed to break the Awendo jinx that is now running for 6 years. After a barren first half, Kogalo started the second half brightly and Francis Ocholla opened the scoring in the 50th minute but it was cancelled by Fred Onyango in the 71st minute. Sony pinned the visitors in their half for long periods but the Gor Mahia defence marshalled by veteran Julius Owino stood firm. My attention has been drawn to a unilateral decision made by Independent and Appeals Committee of the Kenyan Premier League Limited. First and foremost, I take this earliest opportunity to state categorically that no such decision was made after consultations with the Football Kenya Limited Competition Committee of which I am the chairman. Secondly, may I make it clear that IDAC has no mandate to make such momentous decisions without reference to FKL, which is the governing body, and its organs which have the statutory functions to run football in Kenya. IDAC has no mandate to run football and should refer whatever decisions they make to us for the final word, which may ratify it depending on its merits and demerits, or dismiss it. WE are reviewing the cases of the matches concerned and will make our own decision and announce it at an appropriate time, based on the evidence and reports by the referees and commissioners. This has been necessitated by reports in a section of our print media that Zedekia Otieno is an assistant coach at Gor Mahia. We hereby wish to clarify to the general public and football stakeholders that below is the pecking order at the Technical Bench of Gor Mahia Football Club. Zedekai ‘Zico’ Otieno is the Technical Director, by virtue of this post, he is the overall head of the Technical Bench. Gideon ‘Agido’ Ochieng is the Head Coach assisted by Charles ‘Korea’ Omondi majorly in charge of goalkeeping. Administrative arm of the bech is headed by Jolawi Obondo as the team Manager assisted by Maurice ‘Ole Tunda’ Ouma while the long serving doctor (since 1973) Doctor Samason Ogutu is the team Physio. Team captain is Julius ‘Awilo’ Owino with Francis ‘ Jakambare’ Akang’o as his deputy.